Among the many things I remember about Isabella Chappell, the onetime prime minister of Portland theater who died on February 1 at the age of ninety-five, is the antic wit lurking just below her formidable managerial prowess. You could be talking with her about serious stuff – ticket sales, budgets, the need to upgrade facilities at the old Portland Civic Theatre building, the difficulty of selling any show that wasn’t a musical or a comedy or preferably both – and she would rat-a-tat facts and figures and drawbacks and contingencies and possibilities like an economics advisor to the White House. Then, at some point, the edges of her mouth would twitch as an irrepressible thought struck her, something comic and absurd yet also somehow to the point, and she’d giggle and blurt it out. Well, this about sums up the situation, her laughter would suggest, and you would realize that, no matter how tough the situation appeared to be, at some level she was enjoying it. By the time I met her, in the late 1970s or early ’80s, Isabella had long been established as a significant player, even something of a legend, in the tight circle of Portland theater. She was housemother to the clan, the one who had the knowledge and wisdom and warmth and who knew how to make the decisions and wasn’t afraid to be blunt when being blunt was what was called for. People admired her and loved her and, as several have confessed in the days since her death, were a little in awe of her. 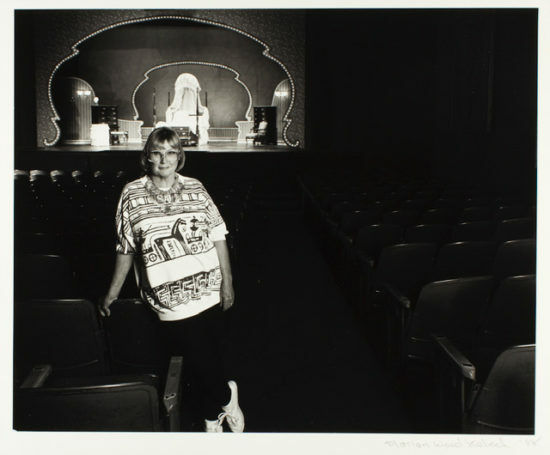 She had taken over as general manager of Portland Civic Theatre, at the time the big player in town, in 1969, and steered it straight into the churning cultural waters of the time, protecting its roots in old-fashioned community theater at the same time that she reached out to new voices and more countercultural talents, greenlighting projects by the likes of Storefront Theatre’s Ric Young and others. Comfortable in the West Hills culture that had long supported Civic as its own, she also extended the theater’s reach into rowdier, more proletarian realms. Almost always well-coiffed and stylishly but never showily dressed, Isabella was approachably formidable, with the soul of a nightclub comic peeking out from the heart of a society doyenne. Born in 1923 in Montclair, New Jersey, she studied ballet and then, for two years in New York, acting, with Sanford Meisner at the Neighborhood Playhouse, before coming to Portland in 1945 as a newlywed. She quickly joined the city’s cultural scene, eventually becoming founding chair of the docent guides at the Portland Art Museum and joining the board of Portland Civic Theatre three years before being named the company’s managing director. Between raising her family and taking on other civic pursuits, she also acted in Civic plays and on occasion directed shows, such as the annual cabaret of the Junior League of Portland, whose newsletter she also edited for a time. In 1967 she performed at Civic in Edward Albee’s A Delicate Balance. Ted Mahar, reviewing for The Oregonian, wrote: “The best performance in the production was in the most colorful role, Isabella Chappell as the family drunk. She practically sang through the role with the same careless abandon the character showed.” A year later she was onstage at the Civic (now Keller) Auditorium in a Portland Civic program headlined by Cornelia Otis Skinner, performing in a short play called Collage, along with Mary Brand, Lannie Hurst, and other Portland stars of the day. After retiring as PCT’s general manager, Chappell returned to the stage, appearing in the mid-1980s at the old New Rose Theatre with Linda Williams Janke in Marsha Norman’s ’Night Mother; at Storefront in Tina Howe’s The Art of Dining; and, in 1986, in a memorable Our Town at PCT in which she played Mrs. Webb opposite her daughter Adair Chappell’s Emily Webb. The show, Thornton Wilder’s love poem to the heartbreak and inevitability of death, was directed by PCT stalwart Bob Nielsen, who was dying of AIDS. Smaller, more focused theaters, some doing the classics, some contemporary plays, some new scripts, were popping up and developing their own audiences. The Oregon Shakespeare Festival opened its Portland branch company (now Portland Center Stage) as an Equity professional house, and money that once would have gone to PCT was flowing elsewhere: the capital campaign to open the new Portland Center for the Performing Arts; the drive to pay for Pioneer Courthouse Square; a giant funding campaign for the “big three” of Portland Opera, the Oregon Symphony, and the Portland Art Museum. Meanwhile, companies were beginning to pay their performers, at least stipends, and that changed the economic realities of the game. Civic had been paying actors for its summer SRO seasons for a few years, but it was a tough go, and a huge change from its long history as a community company. “Of course people were underpaid, and sure, we were exploiting the actors, and yes, it was the artists who were subsidizing the theater,” Chappell said wryly in 1994, when the PCT building on the 1500 block of Southwest Yamhill Street was being razed to make way for a hotel parking garage. It was simply the name of the game, and largely continues to be so, in community-based theater. People talk about the magic of theater, and for many years PCT thrived on a wing and a prayer. Isabella was the magician, keeping the wing airborne and making sure the prayers were practical enough to be answered. You never could tell, walking into an opening night, what was going to happen. Of course there were disasters. But when things were clicking, the 348-seat Main Stage was an electric bandbox. It may have been falling apart backstage, but the audience was close enough to see the sweat on the actors’ foreheads, almost close enough to tumble into the orchestra pit, and something thrillingly communal happened: the energy would rise and rise, and, more than likely, burst into song. When that happened, you could see Isabella, somewhere in the back, smiling. The Blue Room, the little arena stage to the side, offered all sorts of flexibility, and sometimes, some stunningly good shows. At its core Portland Civic was an amateur enterprise, relying on volunteers in an increasingly professional theater world. That didn’t mean it wasn’t also often very good at what it did. The word “amateur,” after all, derives from the Latin root for “love”; to love what one does. Which means that, professional or nonprofessional, every artist ought to be an amateur. Otherwise, what’s the point? In Isabella Chappell’s long life well-lived, it’s a point well-taken. Goodbye, then, to a good and generous soul. In addition to the many people who got their starts at Portland Civic Theatre and continue to do theater in town, Oregon Children’s Theatre grew out of PCT’s old children’s-theater and education program. Isabella’s son Bill Foster recently retired after many years as director of the Portland Art Museum’s Northwest Film Center, which he helped turn into one of the nation’s best such film programs. Her daughter Adair Chappell, who grew up at PCT, became a leading actor in town, playing Peter Pan for a generation of audiences and starring in many musical-theater productions. The very active Portland Civic Theatre Guild (Isabella was a Lifetime Member, an honor accorded after fifty years of membership, and Adair Chappell is its current president) produces monthly play readings and sponsors several fellowships and grants. The Guild has renamed its PCT Award in Support of Theatre, which provides funds for theater companies for capital expenditures, the Isabella Chappell Award in Support of Theatre. You can read Isabella Chappell’s obituary here, and I urge you to do so. It contains a good deal of information not covered in this story. A celebration of Isabella’s life is being planned for her birthday, July 13. Details will be announced later. Thanks for this tribute, Bob. She had a remarkable and very long life. I am one of those people who were allowed to learn their craft at PCT. Isabella hired me right out of PSU. I was going to be a HS theater teacher, but no job was to be had. Hired as a stitcher, I was soon designing shows. Have long said I came through the back door and Mom opened that door and said to come on in. A beautiffully written tribute to a remarkable lady who left a huge footprint on the cultural life of Portland. She is greatly missed. Isabella was a dynamic champion of Portland theatre and will be greatly missed. Bob, you captured her spirit and honored her contributions to the history and vibrancy of theatre here. I moved to Virginia after 15 years in Portland. a smile and warm remembrance…she was a true original, very generous and clever….it was great experience to perform at Civic Theatre.